We hosted dinner last night for several friends. It was pretty dang good, if I say so myself. I made a yummy asiago cheese dip served with bread and crackers, and put out hummus and brie for appetizers. Dinner included a hearty kale salad, fruit, grilled chicken and skirt steak with chimichurri sauce, corn on the cob and key lime pie and delicious s'mores brownies for dessert. While the brownies and asiago dip weren't particularly low in calories, the rest of the meal was pretty healthy - all things considered. Well, if you don't factor in all the beer and wine folks drank. To make up for the big meal, we took the dog for a seven mile hike today. Felt good to sweat out all those calories. However, on the way home, we stopped and grabbed Gator-ade and Nesquick - Rob loves him some chocolate milk every once in awhile. Fortunately, Nesquick has a 100-calorie, sugar-free version so I could have a little chocolate myself without the guilt. It was a nice way to celebrate National Milk Chocolate Day today! 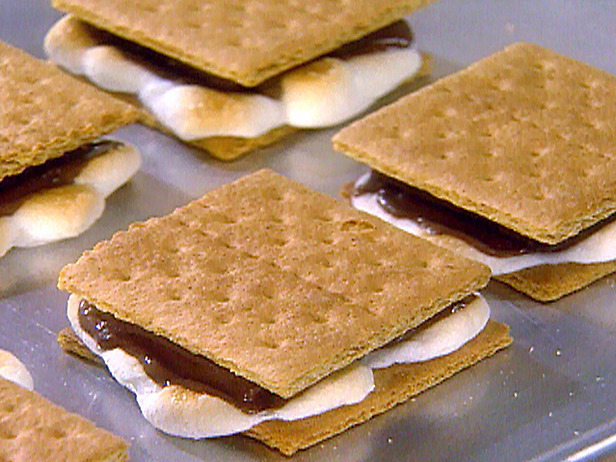 By the way, currently trying to come up with a low-cal version of that amazing s'mores brownie recipe. But until then, grab a box of reduced-fat graham crackers, sugar-free chocolate syrup and fat-free whipped cream - freeze for a few minutes and enjoy a delicious, light snack.